Life with Coco and Gigi... and Jack-Jack too! 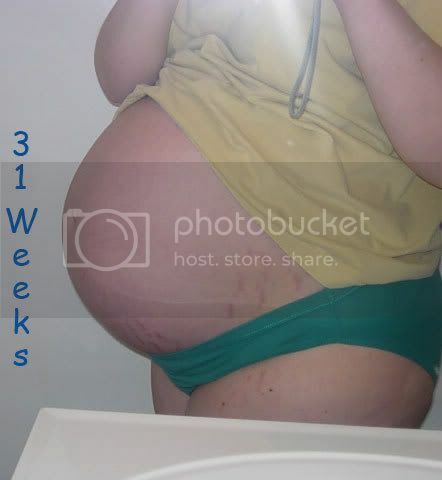 : 31 Weeks! Each week just feels like such a huge milestone!!!!!!! Your baby's total length is 18.9 inches (42cm) and she is perfectly formed! She measures about 11.6 inches (29cm) from crown to rump. All she has to do is fill out more. Your baby weighs almost 4 pounds (not our little peanuts!). If she were to be born now, she would still need to be incubated as she has insufficient fat stores to keep it warm. One more week closer to seeing those beautiful babies!! Yay!